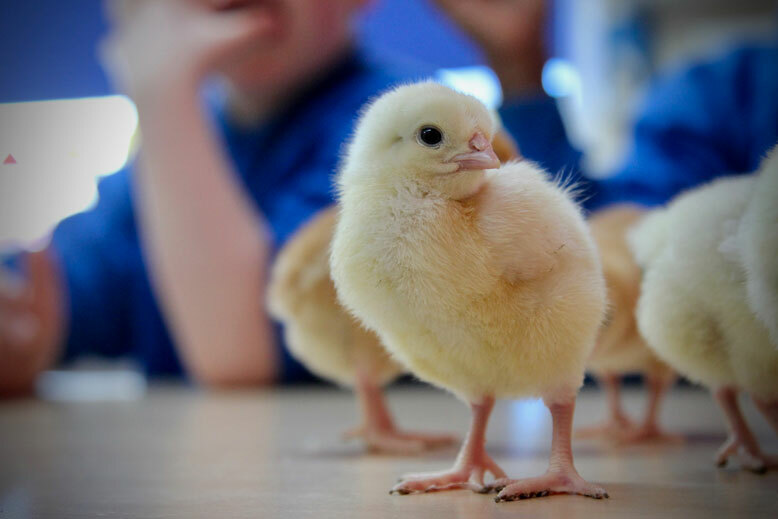 Home » Our School » Creative Curriculum » Curriculum Enrichment » Meet the Chicks! 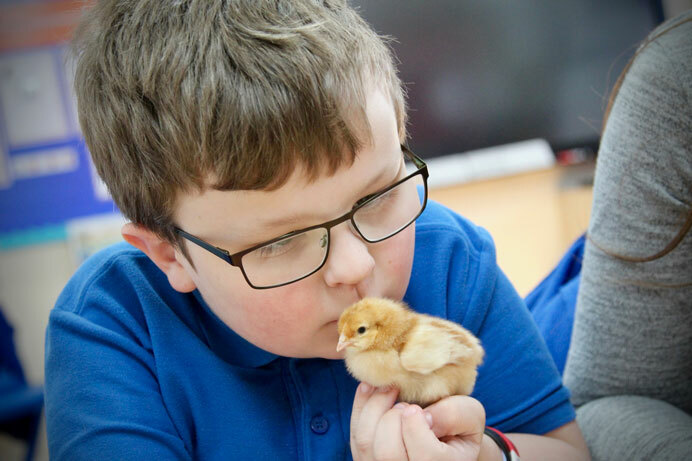 This half term our topic has been ‘Trees, Leaves and Bees’ and what better way to see something change than to see eggs hatch into baby chicks! 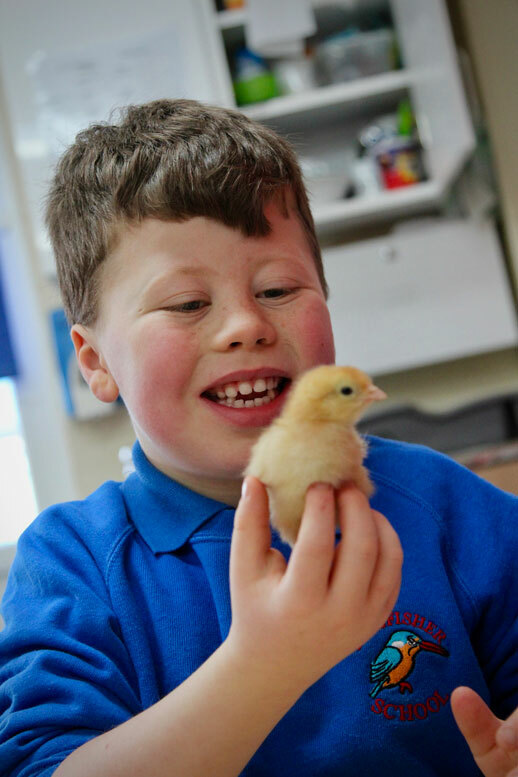 The Ospreys class have been looking after the baby chicks, and everyone from across school has been to see them. 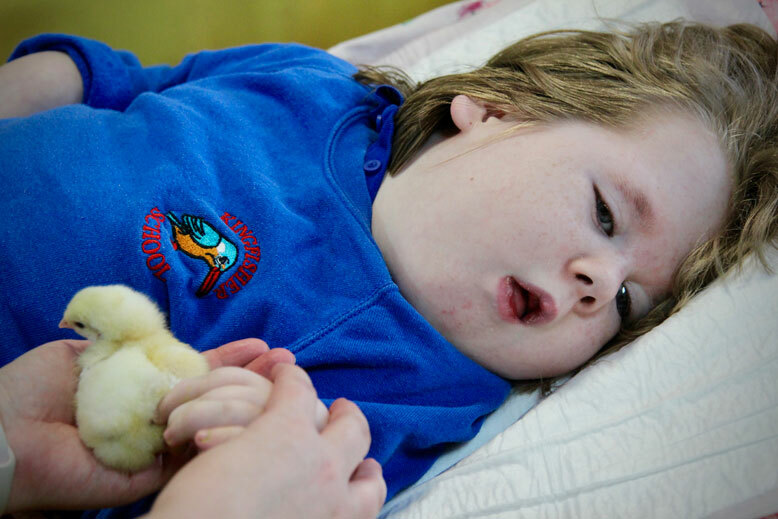 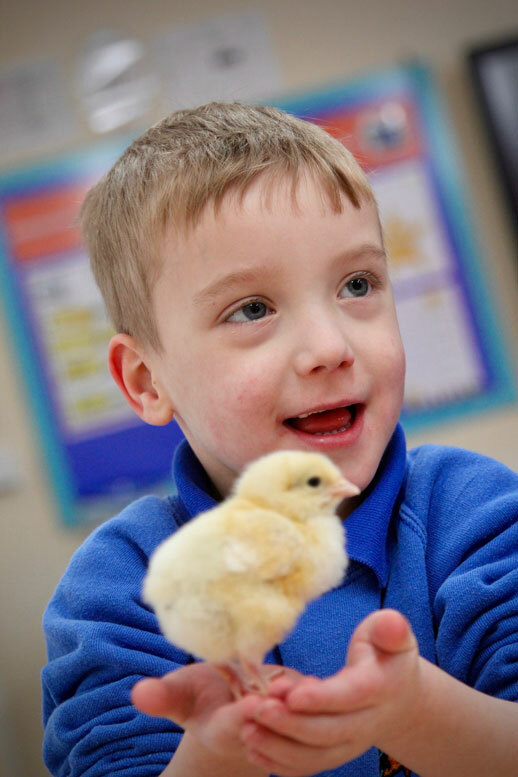 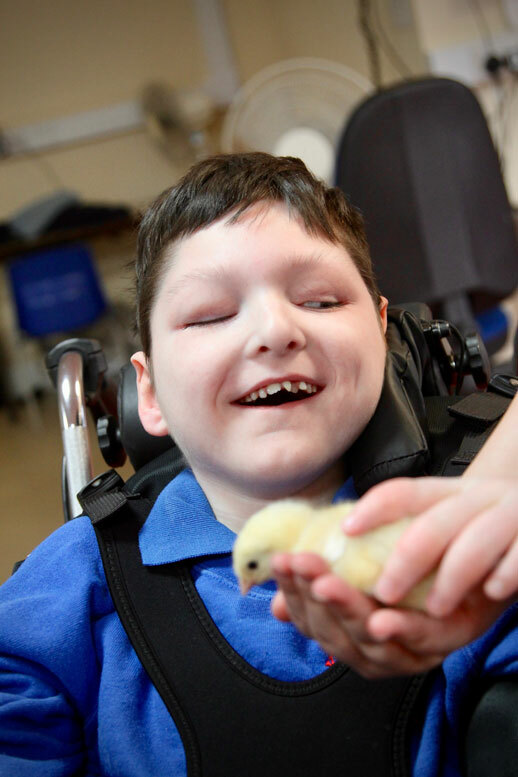 Take a look at some of our photos of the children with the baby chicks!